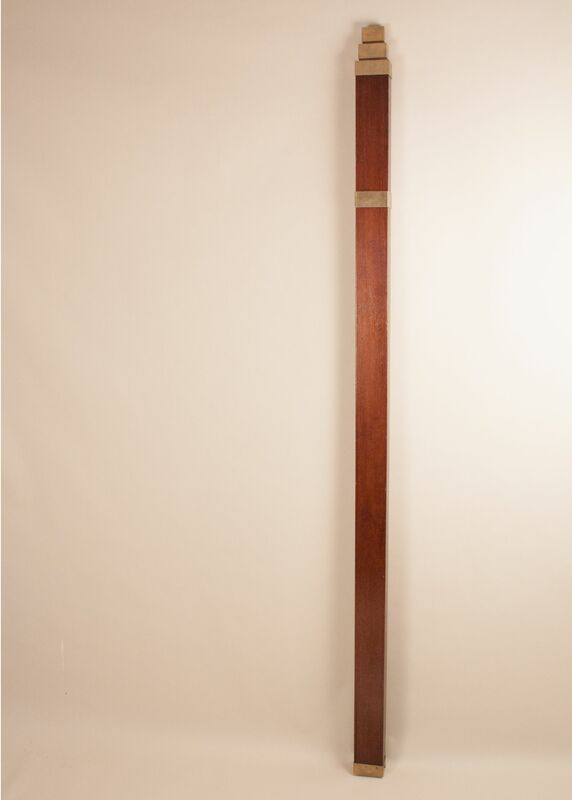 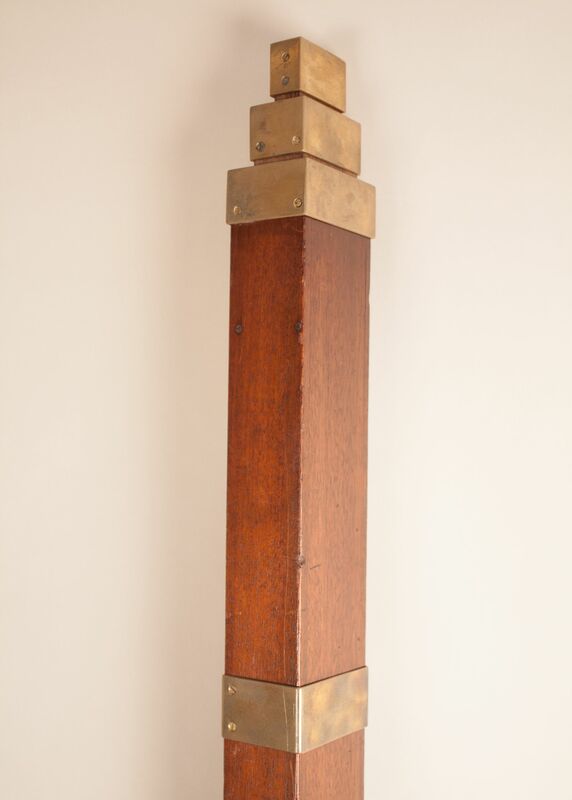 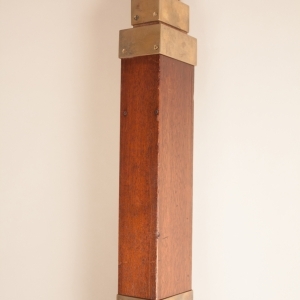 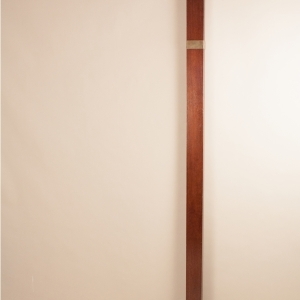 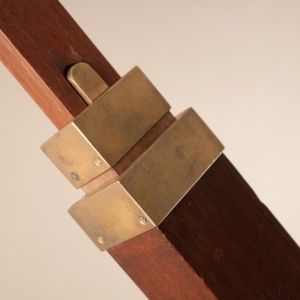 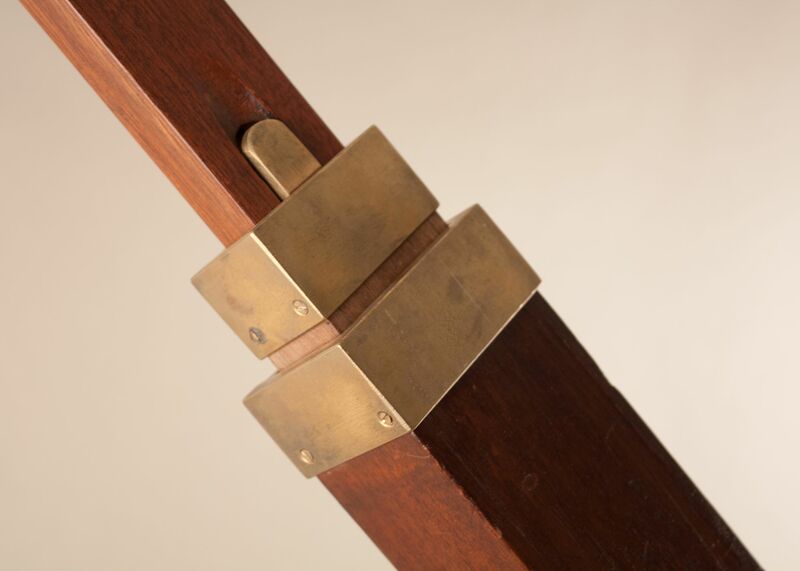 Vintage surveyors staff or leveling rod from England, circa 1940, encased in mahogany with brass reinforcements. 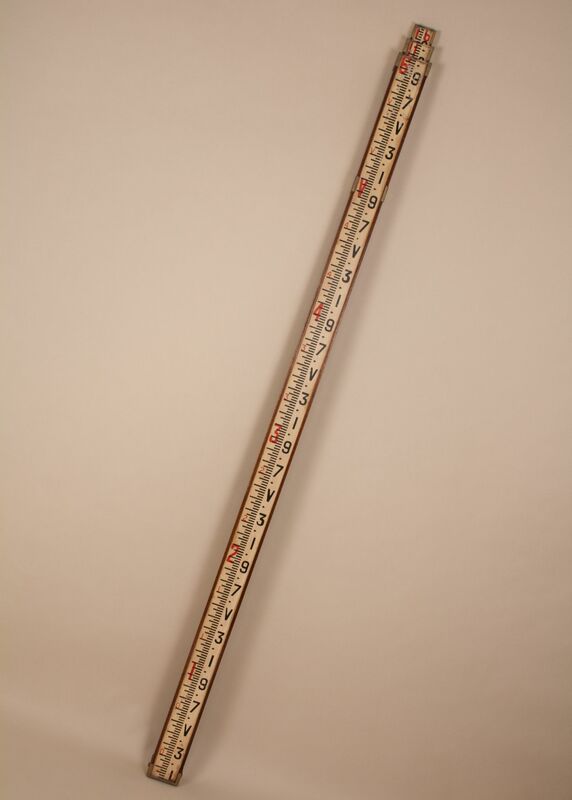 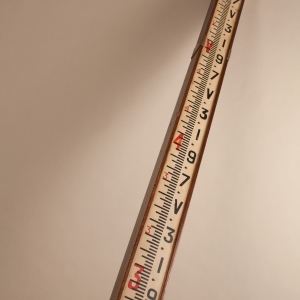 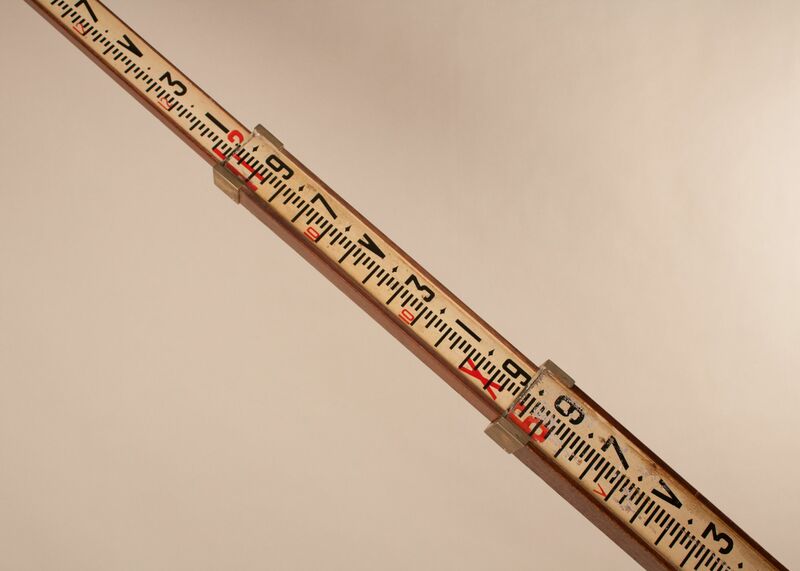 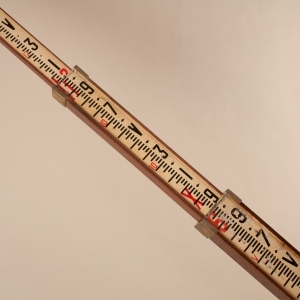 The staff is telescopic, with three sections measuring 16 feet when fully extended. 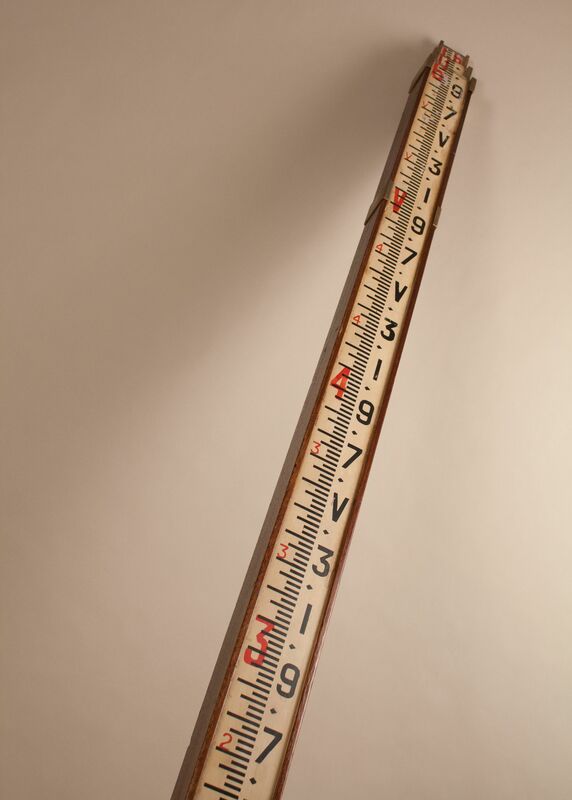 It is a highly graphic tool that makes a very cool decorative display piece.